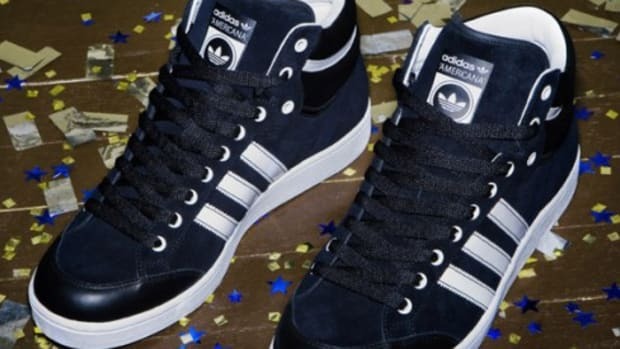 Two of the best in the respective sneaker and music industry, Adidas and Def Jam, had come together this year to collaborate on a collection of sneakers to celebrate Def Jam&apos;s 25th Anniversary. 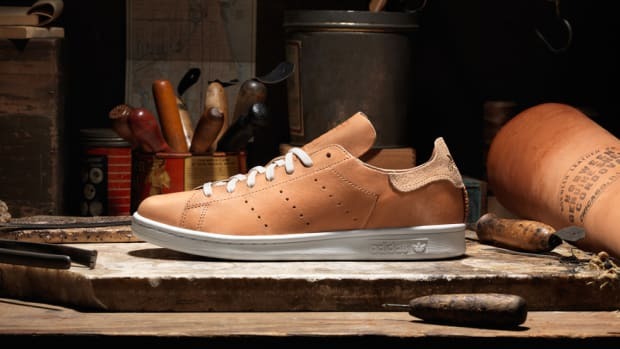 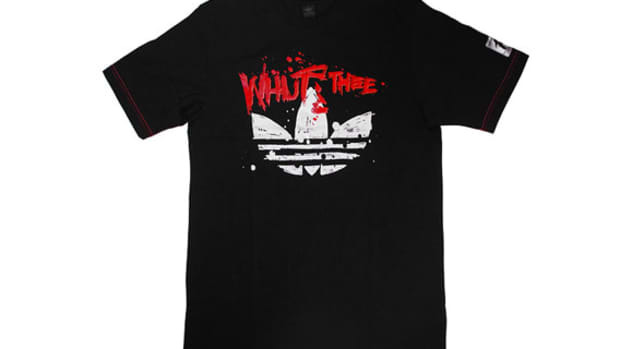 Amongst this collection are cool renditions of the signature Forum Mid and Stan Smith II in red, black and gold. 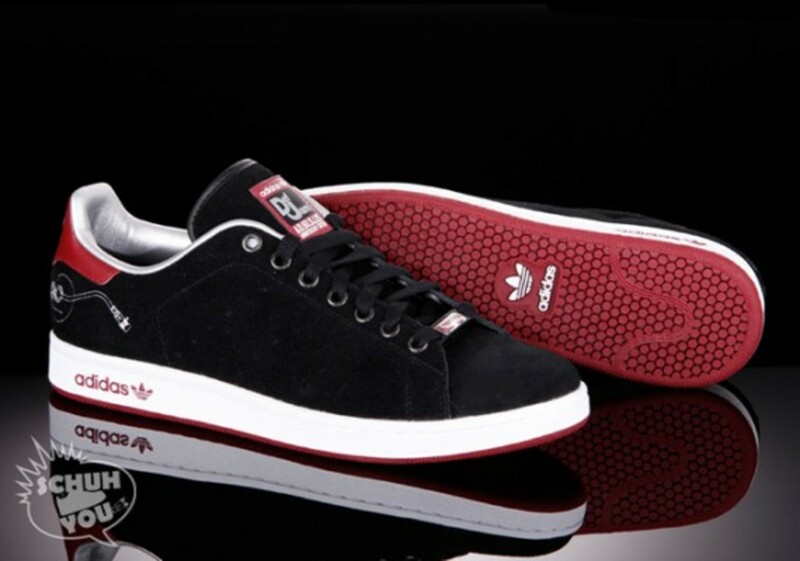 The special edition Stan Smith II features a plush black suede upper highlighted with red accents. 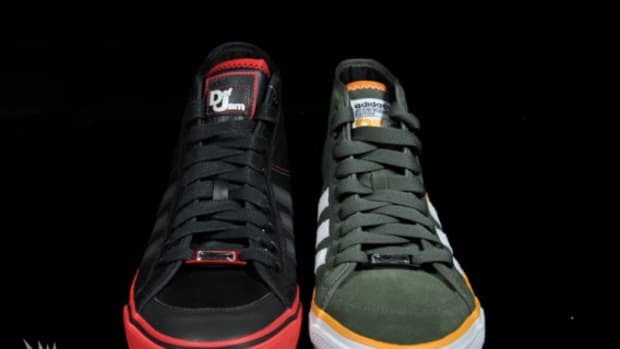 Both Def Jam and Adidas logos are incorporated into the kicks for some major brand recognition. 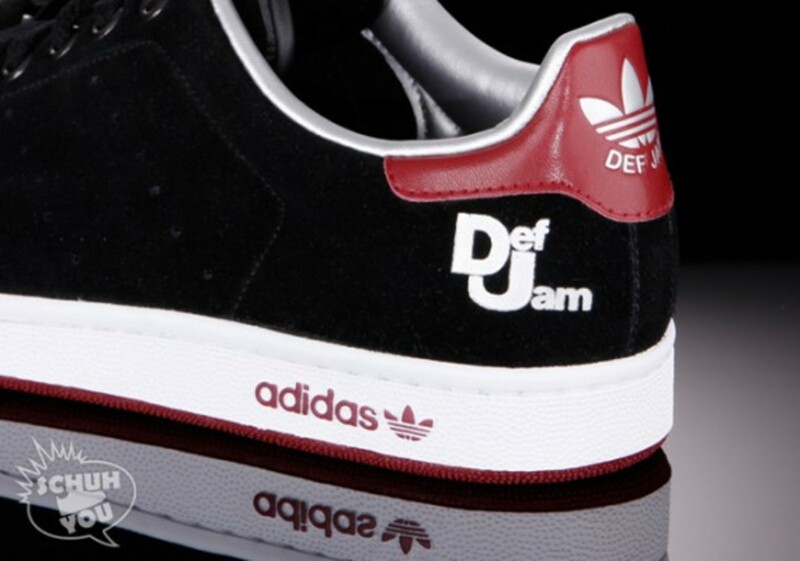 The Def Jam logo is printed in white on the side heel panel and it also shares a spot with the adidas Originals logo on the tongue and heel. 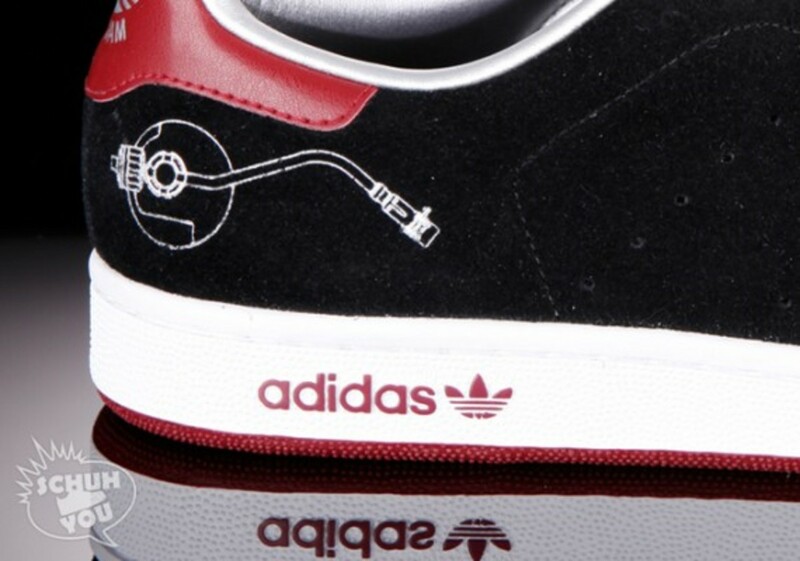 A thoughtful design detail to note would be a small turntable graphic that is printed on the opposite side of the heel panel, a fitting motif for Def Jam in the music business. 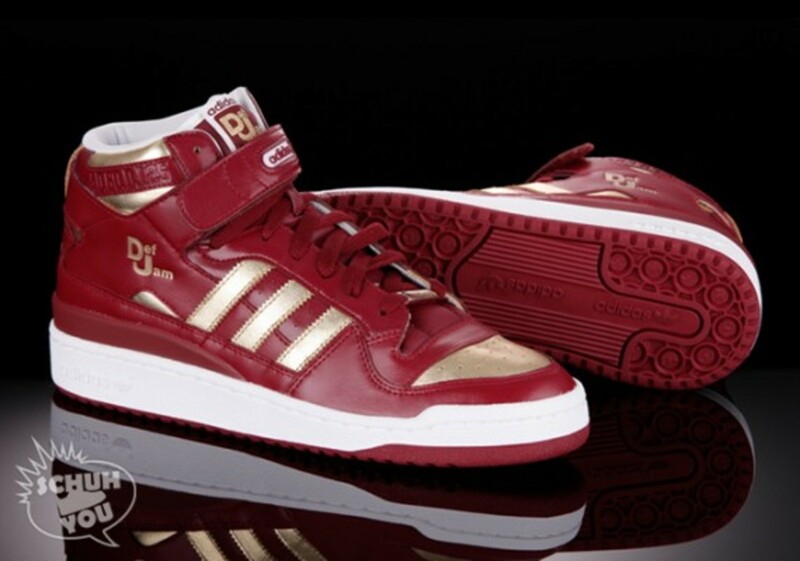 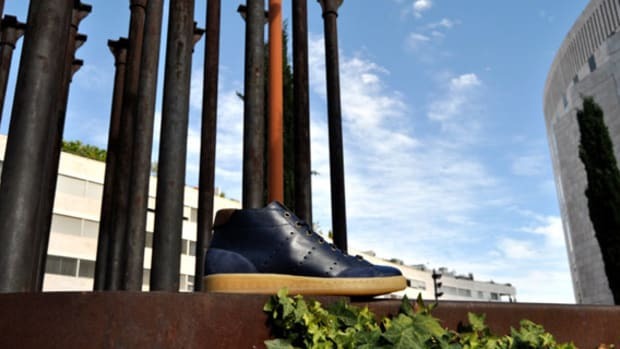 The Forum Mid is a more flamboyant pair in red leather upper with gold accents. 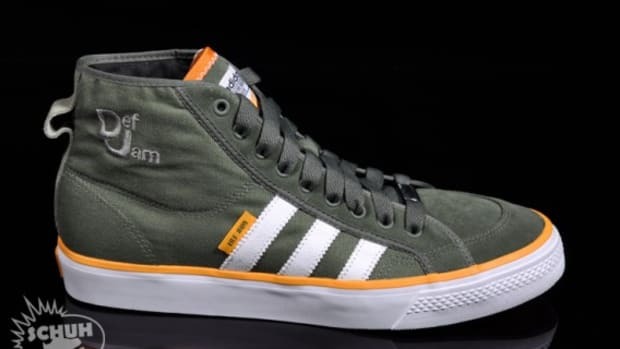 Likewise, the Forum Mid is packed with logo details. 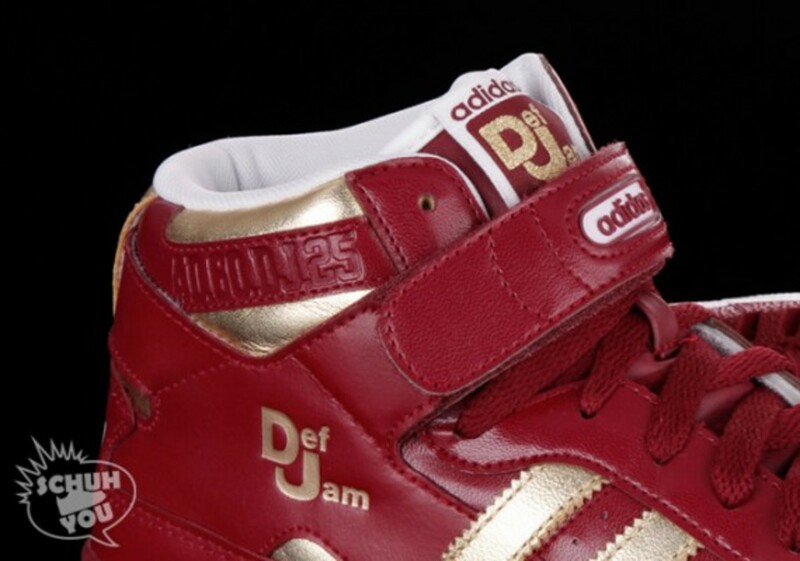 The Def Jam logo is worked into the shoe in gold on the tongue tag and embossed on the side panel. 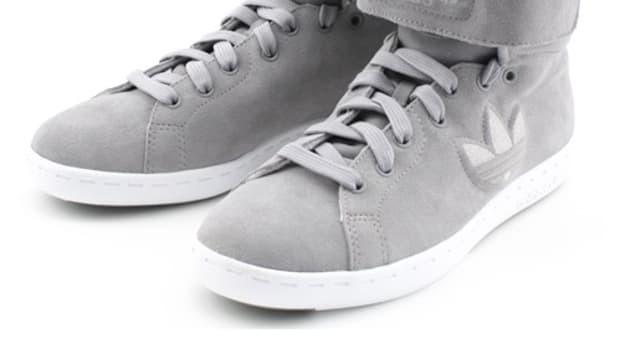 At the ankle, the words "AD.BO.DJ.25" are featured on the padded side ankle. 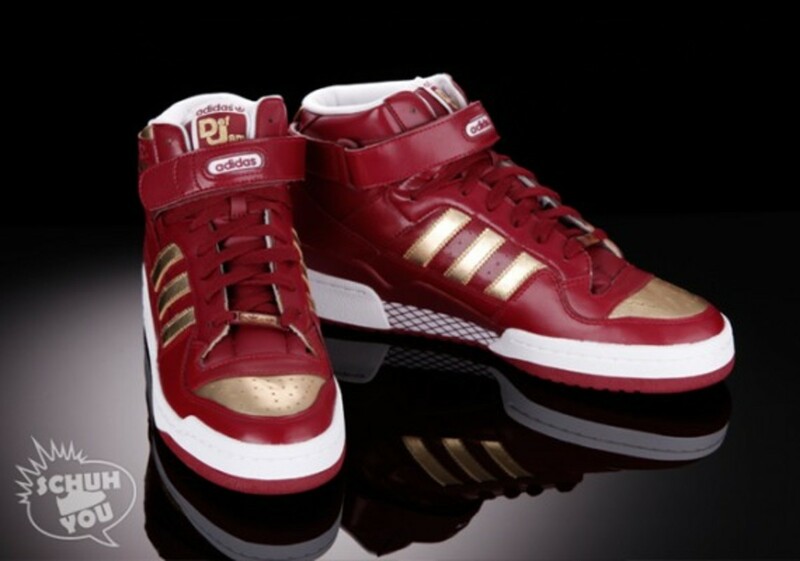 The kicks also come with a matching red and gold lace hardware to give the shoes that extra bling factor.